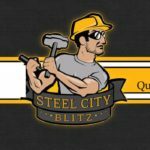 The New York Jets come into Pittsburgh looking to save their season while the Steelers look to build on their impressive win last week over the Kansas City Chiefs. What You Need to Know: The Steelers will wear their “bumblebee” throwbacks for the final time Sunday… Ryan Harris and Senquez Golson were both placed on IR yesterday. Cornerback Al-Hajj Shabazz and tackle Matt Feiler were signed from the practice squad… Chris Hubbard will start at right tackle for the Steelers… Cam Heyward ranks fourth all-time among Steelers’ defensive linemen in sacks with 25. What’s at Stake: With the Ravens playing the Redskins, the Steelers can get a bigger jump on them with a second consecutive win over an AFC opponent. At 1-3 the Jets need a win to keep an hopes alive of putting pressure on New England. All-Time Series: Steelers lead 17-5 and are 7-1 all-time in Pittsburgh. The ‘Hub’ of the Offensive Line Has to Come Through. Chris Hubbard will make his first start of the season at right tackle in place of Marcus Gilbert and Ryan Harris who is now out for the season. Hubbard will have to deal with Mo Wilkinson and Sheldon Richardson at defensive end. I expect the Steelers to give Hubbard help with tight ends and running backs to his side but the best friend of any new lineman is a successful running game. Because the Jets have been stout against the run and brutal against the pass, Hubbard will have to protect his tail off to keep Ben Roethlisberger clean in the pocket. Build a Fort(e). Matt Forte isn’t the threat he used to be but he’s more than capable of doing damage as a runner and a pass catcher. He can still move the pile forward in ‘north-south’ situations but if the Steelers can limit him by not letting him get up a head of steam, the better chance they’ll have of shutting him down period. Forte is also nursing both an ankle and rib injury so the more licks they can get on him the better. With no Ryan Shazier, Vince Williams and Lawrence Timmons must keep tabs on Forte out of the backfield. That means making tackles and not missing them. Get AB Going Early. When you’re playing a 1-3 team with a QB that is struggling one of the best things you can do is get an early lead. The Steelers can do that by getting Antonio Brown involved from the get-go. Because of the offensive line situation, I think the Steelers will rely on short passing and wide receiver screens early. That should give the game’s best receiver several opportunities to get hot. With Darrelle Revis unlikely to play with a bad hammy, Brown should thrive. This is one of those games Steelers’ fans have grown accustomed to losing in recent years. You know? The type where Mike Tomlin’s Steelers come out flat and play down to the competition? After a big win and two more crucial AFC games in the next two weeks, are Tomlin’s charges ready for another letdown? They damn well better not be.